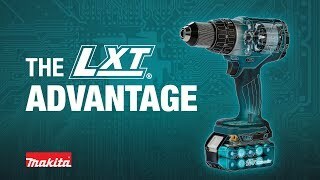 The Makita 18V LXT® Lithium-Ion Brushless 3-Piece Combo Kit (model XT328M) gives you three efficient brushless tools for drilling, driving, fastening, and demolition. You also get the category’s fastest-charging 4.0Ah batteries and the expansive breadth-of-line of the Makita 18V LXT® battery platform, so your batteries will power the expanding range of Makita tools and accessories. 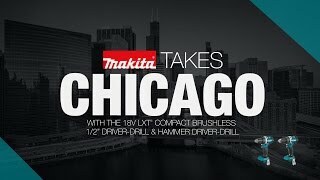 The XT328M includes a variable speed ½” hammer driver-drill with two speed settings, and a variable speed impact driver with a full 1,500 inch-pounds of Max Torque. The recipro saw has a refined crank mechanism design that minimizes blade deflection and reduces vibration for faster, more efficient cutting. For added convenience, the 18V LXT® 4.0Ah battery has an on-board L.E.D. charge-level indicator and reaches a full charge in only 40 minutes. For improved tool performance and extended battery life, Makita created Star Protection Computer Controls™. Star Protection is communication technology that allows the Star Protection-equipped tool and battery to exchange data in real time and monitor conditions during use to protect against overloading, over-discharging and overheating. Shipping Weight : 23.15 lbs.